For much of its contemporary history, Beirut has been characterised as the Paris of the Middle East, a cosmopolitan metropolis that misfortune has placed in the middle of a region otherwise hostile to the civilised pleasures of material excess, free-flowing alcohol and exposed female skin. The terror attacks in Beirut, “Paris of the Middle East” and Paris, France – tragedies filled with laments for the dead and injured – inspire a predicatable response. In Paris, three times as many people die and many are wounded in a meticulously executed multiple-site series of attacks. 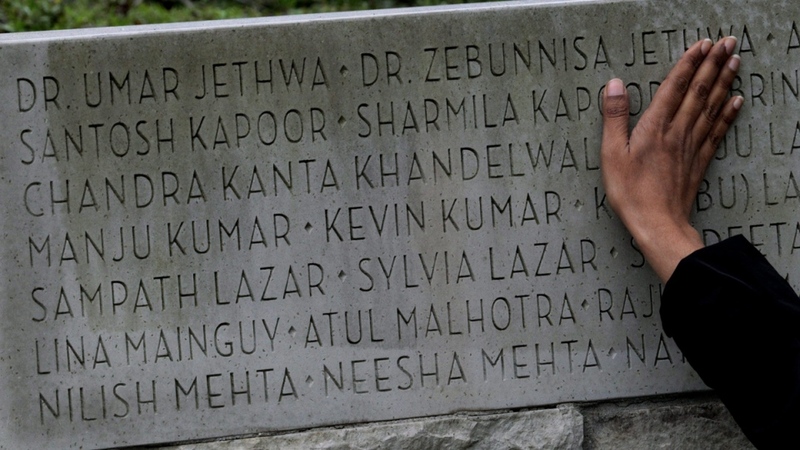 And there is unending international attention to this story. We are appalled over and over and over again as the maps fill up with explosive stars of red identifying the Cambodian cafe, the stadium, the concert stage, the street…. But the wreckage of these two narratives turn on who we recognize as deserving of elegies and our attention. Paris fills us with the romance of where we may have been, European romance and the short-cropped hair of Jean Seberg for those of us who remember, the streets of beloved museums and cafes. Simone de Beauvoir’s cigarette and the eye of Jean Paul Sartre. A bridge of love locks. A photograph of my mother in 1956, bleached blond hair, a beauty, standing in the shadow of the Eiffel Tower. Over the years, Paris remains the cobblestone destination honeymoon destination. We don’t think about the suburbs of alienated youth, the police actions, the racist legacy of Le Pen and the father/daughter’s inheritance, the prohibition of Muslim dress for women. The will to bomb the Middle East. 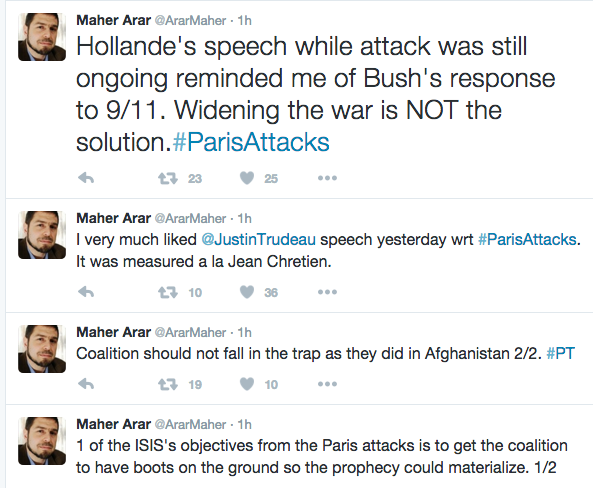 None of this justifies the attacks. But one of the everyday pivots of life in the city is inequality and non-fraternity along racial grounds. Last week, I saw the opera Air India [Redacted] with a libretto based on Renee Saklikar’s brilliant poetry collection The Children of Air India (Nightwood, 2013). You can listen to her interview about the collaboration here. Our new Prime Minister Justin Trudeau speaks to the public in the aftermath of this catastrophe in measured tones. None of the fire and brimstone of the Old Testament patriarch who would have us ramping up military action. . Thank you for your measured commentary. To some Canadians the Palestinian issues register as “ours” versus “theirs”. To say this is here and that is (t)here is difficult if you are interconnected with familial, historical, religious, or regional ties both here and (t)here – the threads trace the rich histories of our lives. This conversation about whether the issue resonates with a Canadian voter invites us to think through ethnicity, identity, and racialization – and empathy. And we must think through “all my relations” – an Indigenous concept that informs Mayor Natanine’s philosophy about Palestine. To decide to prioritize issues relevant to “here” in an election year is to cut off and exile those with strong ties to “here” as well as a particular elsewhere brought close through actual relations, blood or adopted, or through the imagined relations of knowledge, analysis and empathy. Where there is no “diversity with equity” the shadow of racism falls. And we must speak out. You don’t slice and dice justice in the interests of expediency. Why the silence on this ongoing purge of NDPs who have a conscience about Palestine. Not an important election issue? Tell that to the Muslim and Arab Canadians who have been exiled and demonized for the past decade and beyond. 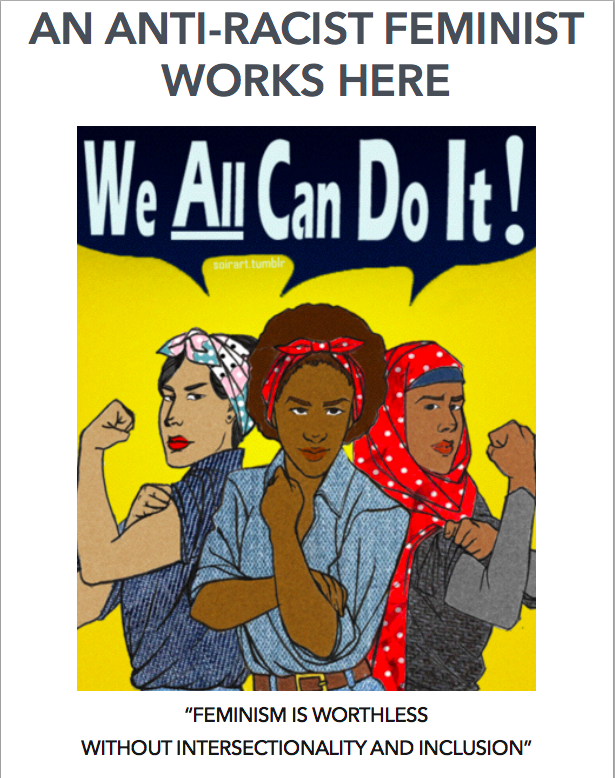 Or to anyone who works in solidarity with Indigenous issues and identifies with the Palestinians. Tell that to those concerned about Canada’s extremist foreign policy and uncritical support of Netanyahu’s Israel. Harper just bought Israeli Iron Dome missiles for Canada that were test driven in Gaza massacres last summer. Would a different government order more? Visiting my beautiful 86-year-old ailing mother a few days ago, she reminded me why we must speak out: “I gave birth to my voice in giving birth to you,” she said. And it is true. My birthdate in 1951 meant I grew up in an era informed by the Civil Rights and Anti-War movements where change informed actions. The ongoing efforts of the Women’s Liberation Movement made it possible for some women to struggle to speak out about injustice. And over the decades, it is clear that only some women benefitted from this noisy conversation. 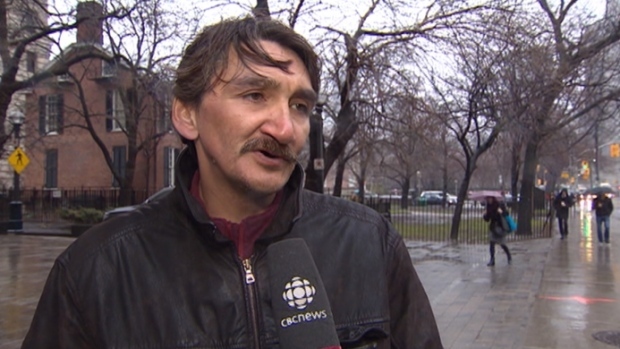 Many Indigenous peoples have been left behind as the 2012 report on NunavutHuman Development Index indicates. Alberta doesn’t belong to a political party. 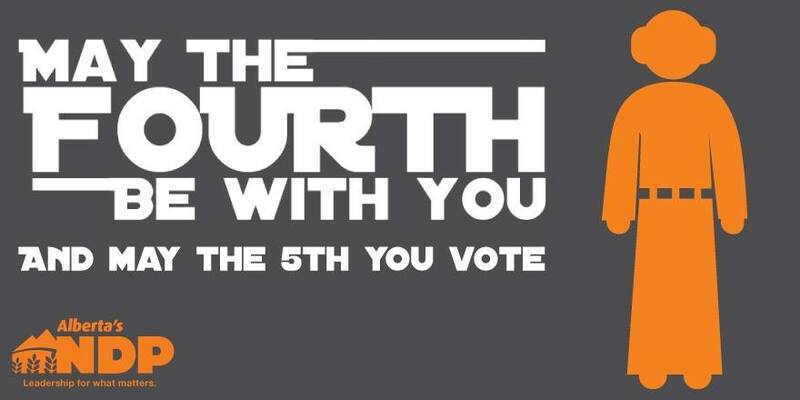 Why do I think NDP ALBERTA will win? 31% more people voted in the advance polls. 12% more voters registered this election. Why is Rachel winning? Insert here all of the polls, the articles east west north south about Rachel’s skill, gifts, history, talents. Here’s the poll that was published the day before the election with huge NDP numbers and a majority government predicted. Will this come true? Who knows. Hypothetical begins with the same letter as Hope! It is now 1:29pm election day and I can manage hope for a few more hours until we all gather to watch the election returns and come to know what has transpired. Why will Rachel win? Imagine the wonderful community, the excellent numerous campaign workers and the well-funded campaign and you have a story about the transformation of Alberta. 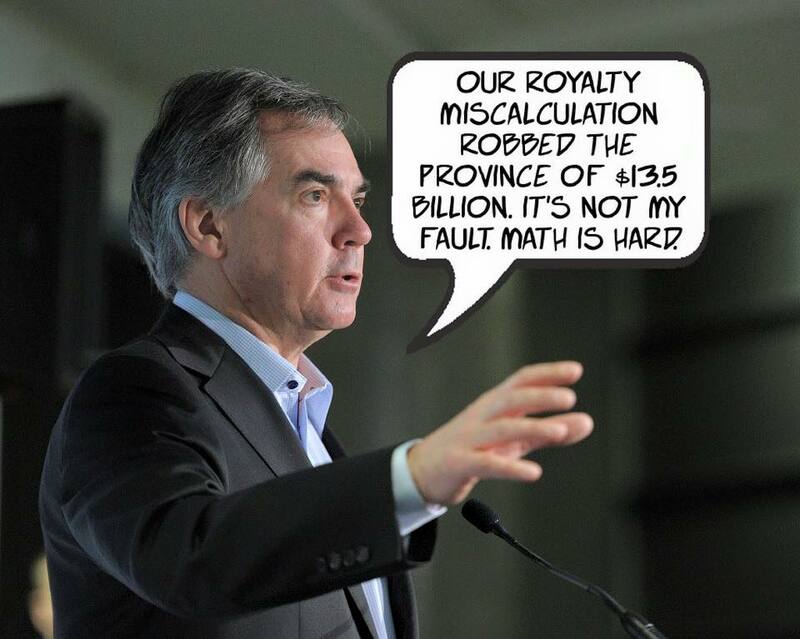 The PC’s leader Prentice has the charm of a board-room bureaucrat. The Wild Rose limps on with a leader who might win votes. 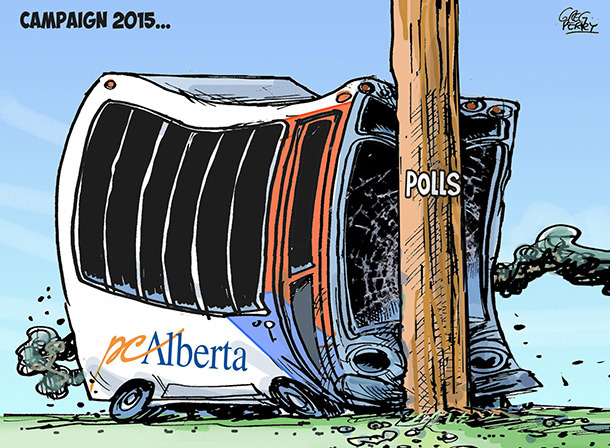 Fenceposts have been elected in Alberta. The Alberta Party barely breathes. The Green Party makes excellent arguments but doesn’t have the voter base. 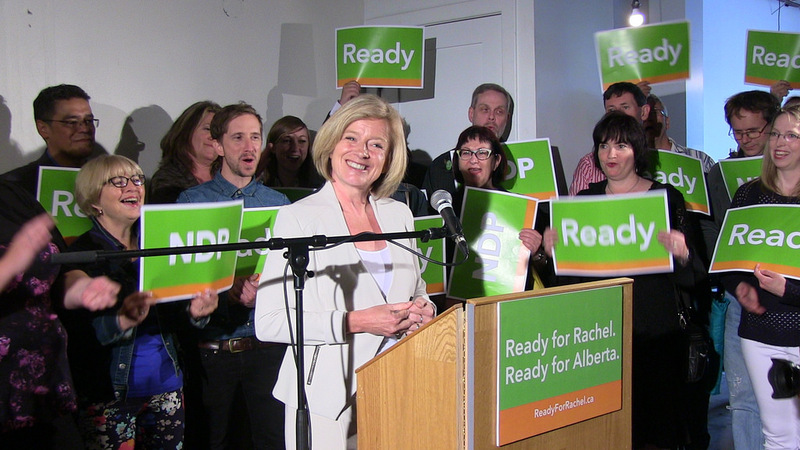 Watch Rachel destroy the Liberal, PC and Wild Rose leaders in debate, watch here. Watch and listen to her big rally speech last Sunday to 1500 enthusiastic supporters. Her talk begins about 5:30. Interested in looking at the NDP video ads from their excellent campaign? Here are some of them including “Kick the PC Habit” campaign. 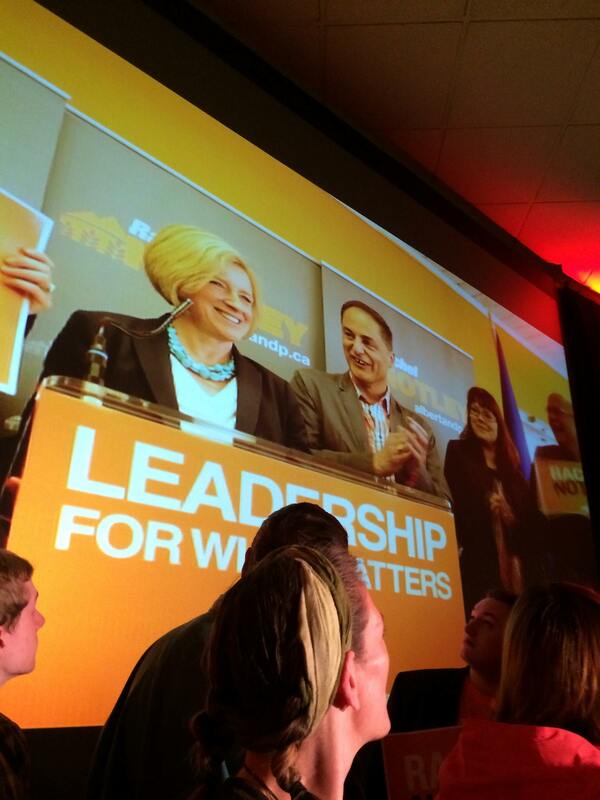 Everyone was looking for the Notley Crue t-shirt invented by NDP campaigners. You can order them here. 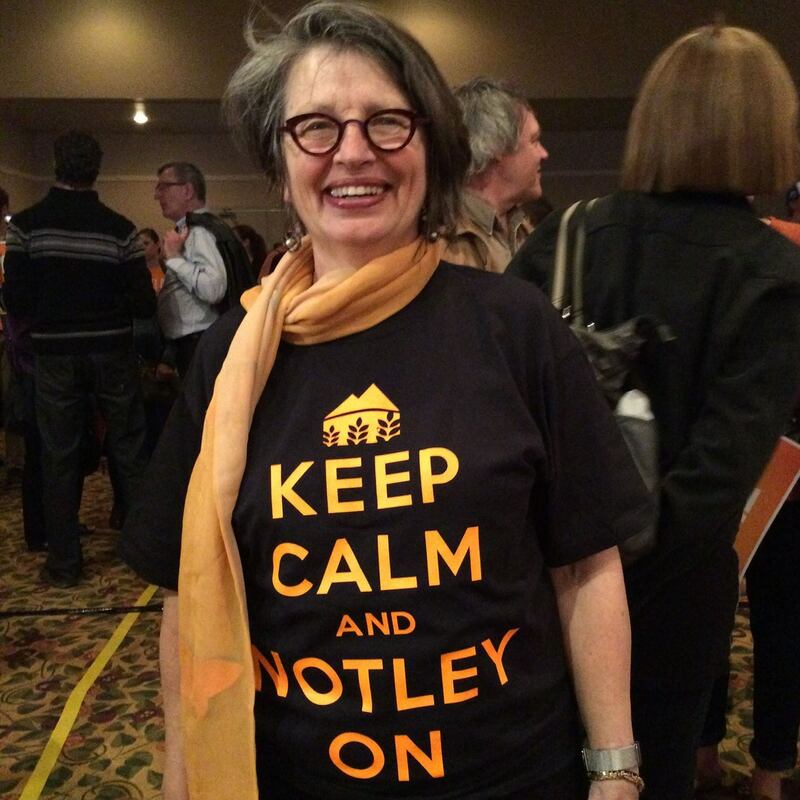 Or you can buy the “Keep Calm and Notley On” shirt off my back but I’m not selling!